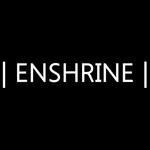 Enshrine Music is new net and record label set up in February 2013. Founded by electronic music producer Vladimir Mihajlovic (Belgrade, Serbia) as a personal output platform, Enshrine is all about deep and intelligent music, including ambient, downtempo, dub, techno, breaks, dubstep and more. Except his own productions under names Float, Extend, and Under The Falling Sky, Enshrine will release music made by other upcoming and established artists from around the world. Preserve (a right, tradition, or idea) in a form that ensures it will be protected and respected.